Electrician: Time For A Bathroom Remodel? A New Year, A New Bathroom? It’s almost the new year, and if you are like most, you are wishing 2016 “au revoir” and preparing, more than ready for a new year. One of the greatest benefits of a new year is to start over, get a fresh start, and a new or better focus on our goals and the things we want out of life. And perhaps for you, a bathroom remodel is in order! A bathroom remodel can not only breath new life into an old space, but it can better reflect or help you get into your new mindset for a new year. Regardless of who you are, all of us spend a considerable time in the loo; why not make it a place that you enjoy and reflects who you are? Are you ready for a big change and considering a move? A bathroom remodel done right can help increase the value of your home and bring in more prospective buyers! 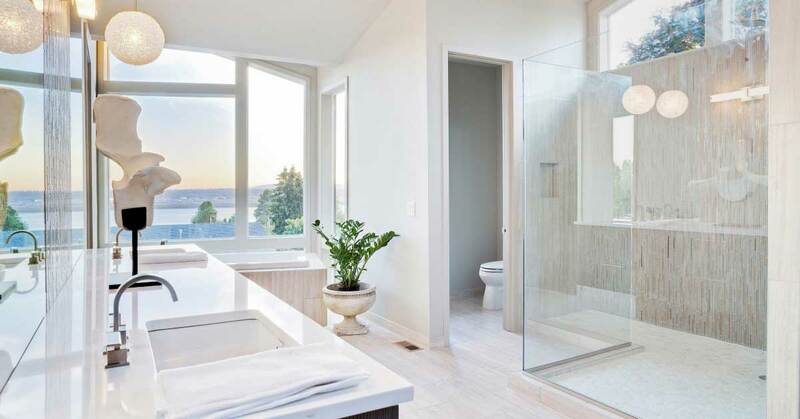 No matter how big your bathroom is, a bathroom remodel can feel overwhelming at first, but as with anything, it is important to take everything one step at a time. One of the first steps of a bathroom remodel is to know, what you will actually be remodeling: Does your bathroom just need a new coat of paint with maybe some new towels and racks, or does your bathroom need an overhaul? Here are some things that the electricians of Front Range Electric think you should consider before you pull out the mallet and taking out all that old tile. Before you decide that colors you want in your bathroom, you need to think about what kind of style you want for your bathroom: Do you want it to match the style of your overall home or stand on its own? Consider looking on Pinterest or browsing pictures online of possible bathroom color changes and remodel designs. Not only can you consider what color to make your bathroom, but how many colors you want to incorporate and whether you want to use wallpaper (only suggested for small powder rooms), stenciling, or painting techniques. A big trend for updating your walls is to use tape and create geometric designs! When you’ve decided what style and color you want to have your bathroom, next you can consider what kind of towels and other decorations you would like to incorporate. Other decorative elements to consider are pictures, wall hangings, soap containers, and more. Really, you can’t go wrong when it comes to decorations, as long as the bathroom still functions as it is supposed to. Depending on what your bathroom is used for, you may need to consider another means of organization. Use partitions in your drawers, bins or drawers that fit under the sink, or consider buying an over-the-toilet cabinet that can hold some of the things that you need to keep your bathroom working smoothly and efficiently. Whether you are doing an overhaul on your bathroom or a slight change, you should definitely inspect the condition of your lights, outlets, and other electrical elements of your bathroom. Call our electricians for any questions you might have. Depending on how old your home is, it may need an electrical check up. Check back for our next blog about an overall style redesign! And be sure to call the electricians of Front Range Electric with any questions you might have about a remodel, or about general electrical maintenance for your Colorado Springs home! Contact us today!